These pages have information for teachers commencing employment in remote schools and information to assist school leaders in supporting new recruits. Prior to commencement: provides information and resources about teaching in the Northern Territory, for access before taking up your teaching post. On arrival: provides details about a central orientation program and local induction at your new school. Ongoing support: outlines processes in place to provide you with continuing support including professional learning and networking with colleagues. New teachers will receive mentoring to assist with their local induction and professional development. 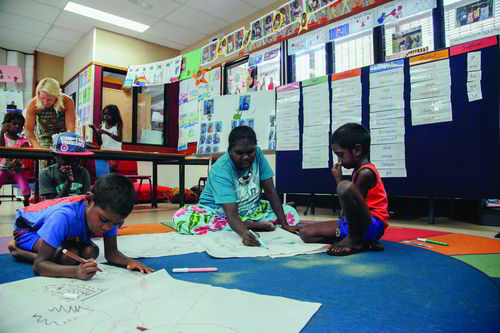 Information has also been prepared for principals and leadership teams who play a central role in supporting new teachers and providing direction for meeting Northern Territory Teacher Registration Board requirements. Go to the Teacher Registration Board of the Northern Territory website for more information about registration requirements.